Memos vs. Presentations — What’s the Difference? It used to be simple. We used a typewriter and photocopier to create and distribute memos. We distributed the memos and left people to their own devices. They could read the memo when and where they wanted to. The memo contained everything they needed to know. They didn’t need a presenter to explain it to them. On the other hand, we used transparencies to create presentations. Transparencies were hard to make, so we didn’t make many of them. Those that we did make were very simple — just a few words. Transparencies provided speaker support. They highlighted the key points. But they didn’t replace the presenter. Without a presenter, you would have no idea what the transparencies meant. They were too skeletal. 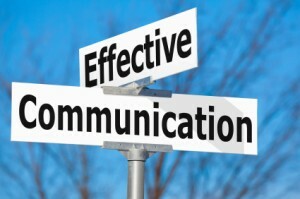 Today, we use Power Point for both memos and presentations and that confuses our communications. We use Power Point for memos because it’s an easy way to create hundreds of charts. In other words, we can give the reader everything they need to know — it’s a memo. But we also use Power Point for speaker support because it’s an easy way to create visuals — its a presentation. If we’re not careful, we can confuse a memo for a presentation. But a memo doesn’t need a presenter — it’s self-contained. It’s not speaker support, it’s speaker replacement. If you’re not careful, your audience will be glazed and confused. It’s OK to use Power Point for both. Just remember that memos and presentations serve two different purposes and, therefore, require two different forms. Learn more in the video.